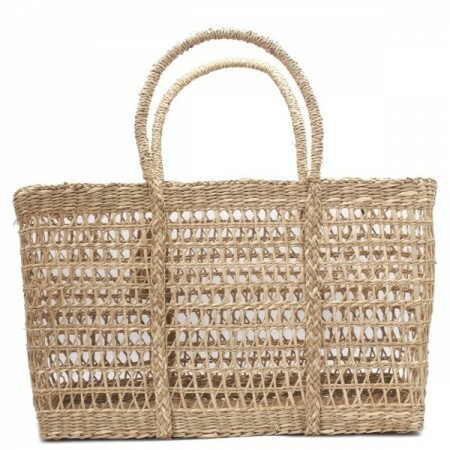 A beautiful open-weave handled bag that will take you from beach to markets. 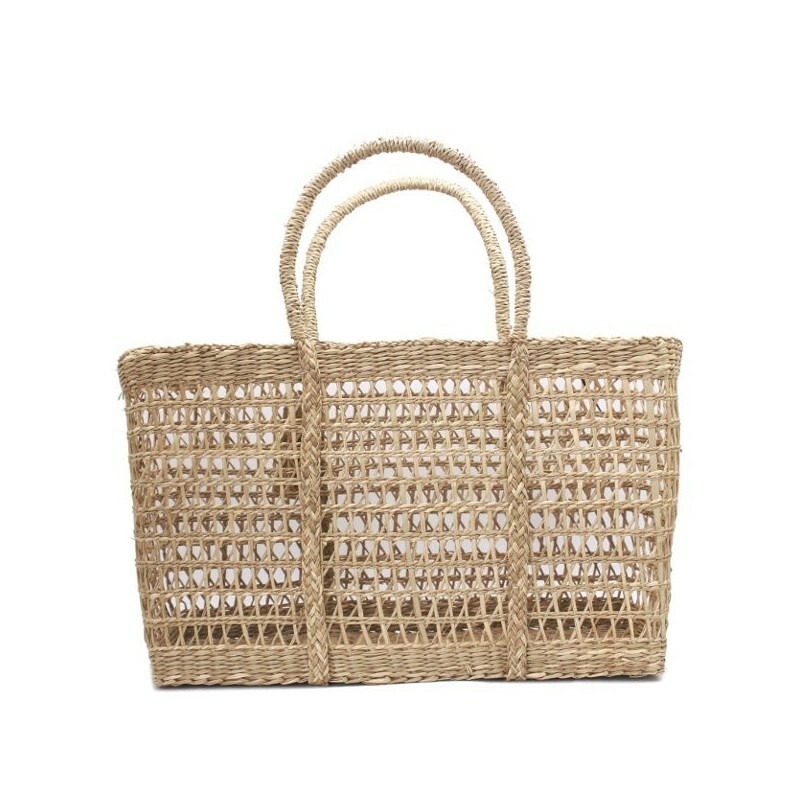 Hand-woven from sustainable Seagrass fibres, this flat bottomed bag will stand upright and open. 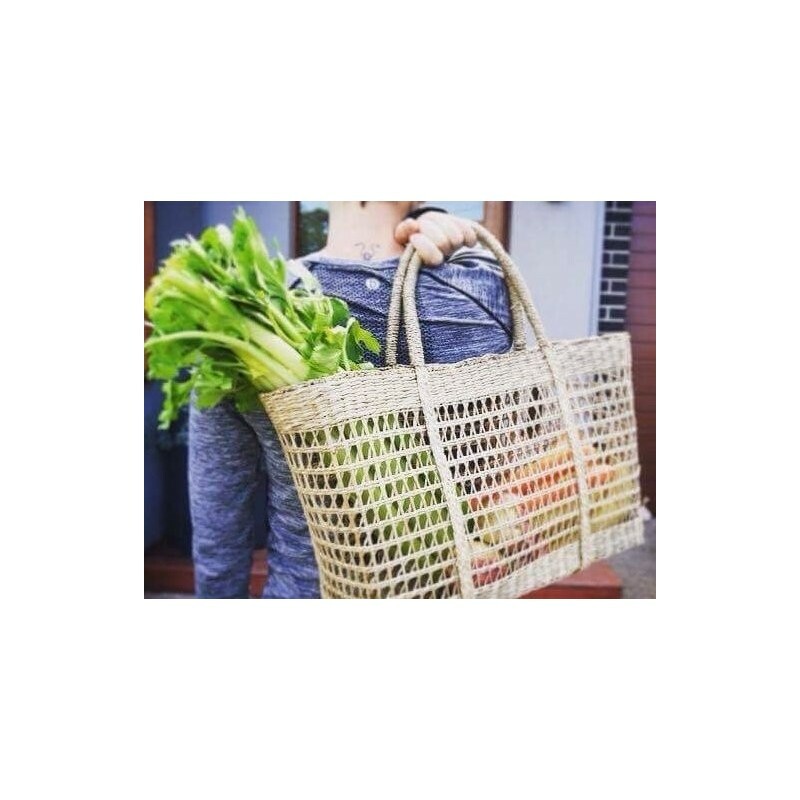 Throw in your everyday essentials for a eco-friendly and stylish day bag or use as a basket around the home. Medium size. Handcrafted at village level in Northern Vietnam by buying these bag you are helping local crafts people earn a fair living. Seagrass is 100% naturally biodegradable and is one of the most abundant natural fibres. 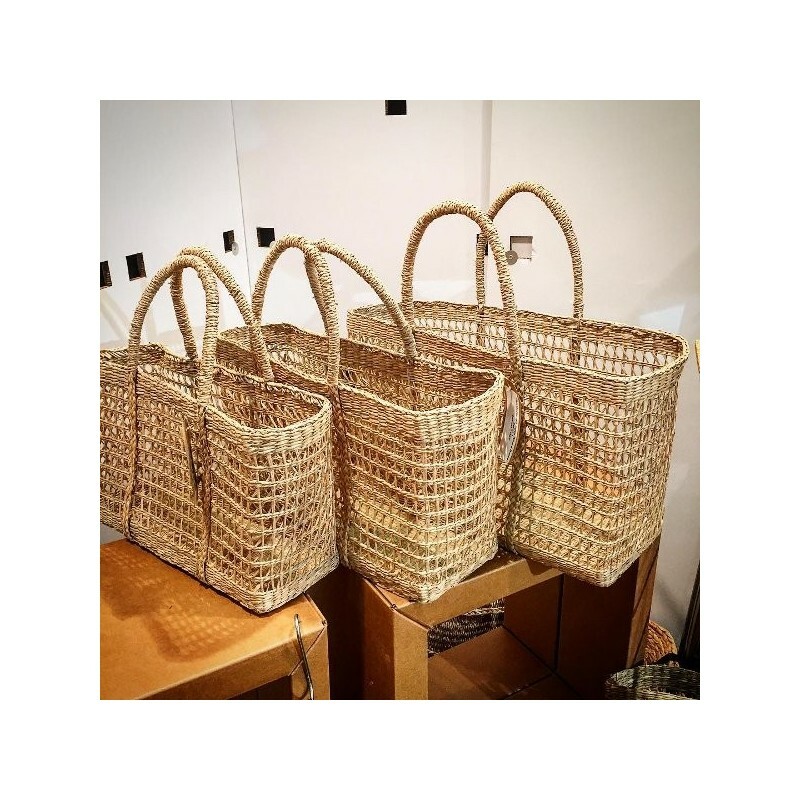 It has remarkable strength and durability and can be woven into strong baskets and bags with little treatment. Will break down naturally, won't contribute to landfill. This medium size is great for everyday use and even better as a waste-free market shopper. Use for stylish storage about the home. Wrapped handle for carrying comfort. Has a flat base for added structure. Note: Do not overfill as this can compromise the integrity of the seagrass fibres. Woven seagrass. 42cm L x 16cm W x 26cm H.
Browse all of our natural bags. Perfect for groceries or jackets and drinks. Looks cute too!